26 years old Gilles Gentges was on Tele Vesdre set last weekend for a last interview during which he announced that he will be moving on from his competitive career. Here is a look back at Gille's performances through the years. In 2008, Gilles was still training in his hometown club, in Malmédy. As a Juniors, he was selected to compete at the European Championships in Lausanne, where he placed 15th with the team. He then joined the Elite Center in Ghent. 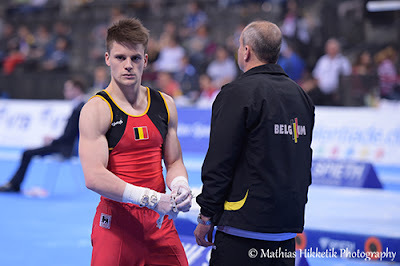 He competed in his first World Championships in 2009 in London and then became Belgian Champion in 2010. That year, he flew to Birmingham for the Europeans and then to Rotterdam for Worlds, a crucial step leading to the 2012 Olympic Games. There, the team failed to qualify for the next World Championships, and thus, the hopes of qualifying a team for the Test Event and/or the Olympics were crushed. Gilles then decided to take some time off. To have surgery and to concentrate on his studies. Three years later, he made a comeback, in Mons this time, where his brother, Maxime, trains too. An injury prevented him to compete at the 2014 World Championships, but 2015 was his time to shine. 5th at the Belgian Championships, he is then selected to participate at the first ever European Games in Baku (Azerbaijan). He then flew to Korea and the Summer Universiade, where team Belgium finishes in 8th position. Gilles wasn't selected to compete at the 2015 Wolrds, where team Belgium placed 17th, the best ranking ever achieved. Gilles then took part in the Road To Rio campaign, after Belarus withdrew from the Test Event, giving Belgium the opportunity to try and qualify a full team to the Games. 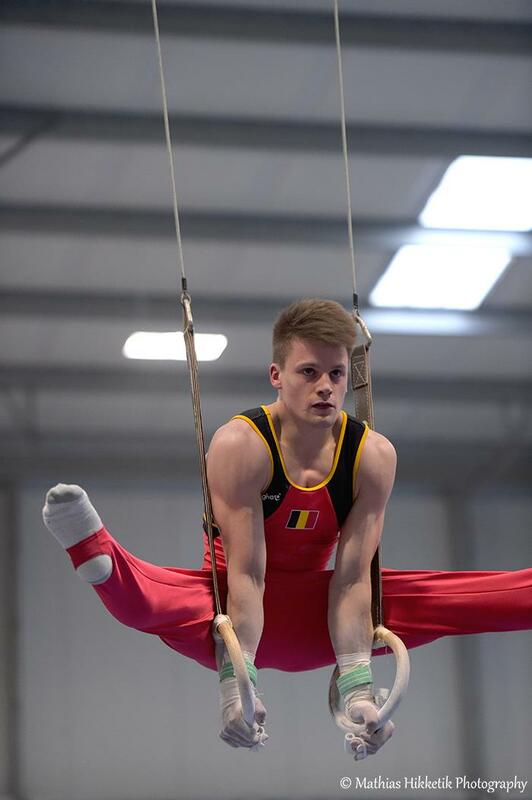 After two tests that took place in Malmédy, Gilles was unfortunately not selected to compete at the Test Even were Belgium finished in 7th place, meaning our country will not be able to send more than one gymnast to Rio. On Tele Vesdre, he talked about the last final stop for the Men's team. The boys will go to Rotterdam for the Dutch Nationals. This competition will count in the Olypics selection process, a competition in which Gilles Gentges won't take part. This year, after an experience with a French club, Gilles also competed for the club Virtus Pasqualetti Marcerata, in italian Serie A, where he helped the club be croned Italian Champion. Now graduated, Gilles has a lot of exciting things coming ahead. He started working as a consultant for the RTBF at the 2015 Top Gym. This was his first experience, and he did a good job. He announced on Tele Vesdre that he will join the RTBF journalists in Rio and will once again be a consultant for the gymnastics competitions, where he hopes to whitness his brother's first steps at the Olympics. After these 2016 Olympic Games, Gilles will officially retire from elite gymnastics, even though he will always have a step in the sport, as he wish to share his own experience with younger generations. Gilles, I want to already wish you the best for your future and to say thank you for everything you have done for the sport in Belgium and internationally. Your good and positive attitude as well as your constant support to your brother and team Belgium will always be something that we will remember. The 2016 Olympic team is known! The 2016 Dutch Open: the last Olympic trial! 2016 Euros: 4 finals for our gymnasts in Bern!